Call centers are constantly changing and adapting to fit the growing needs of customers, and – surprise – those changing demands and expectations are more dynamic than ever. When we’re looking at the overall landscape of call centers and support teams putting in the time with these customers, it’s always important to identify trends and patterns that help us shape our strategies. In a recent Call Centre Helper article, their panel of experts has published their call center predictions for 2019, ultimately defining how they believe the industry will evolve this year. Among 23 fantastic pieces of insight for any size of call center or support team, we pulled out 7 of our favorites. By capturing what customers want to achieve, smart VoC initiatives can inform customer experience re-engineering to address 100% of customer needs, whether they’re engaging digitally or through the contact centre. Read the rest of the article to see all 23 of their expert call center predictions! This year, it’s more important than ever to stay on top of what customers expect from their customer service interactions and support engagements. For the vast majority of consumers, how these interactions are handled can improve or diminish how your customer service efforts are perceived. Zingtree decision trees are one such tool that was specifically designed to improve the customer experience, reduce support tickets, and enhance agent-to-customer communications. It’s a fully interactive, completely customized, mobile-friendly decision trees to guide customers through a setup process, troubleshooting, returns, and more. 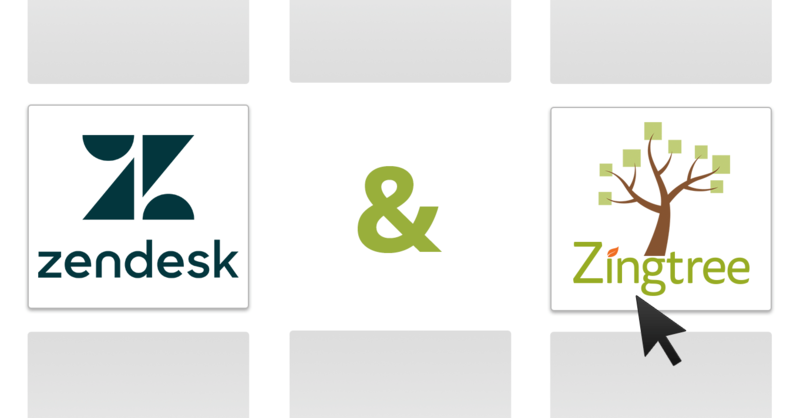 Zingtree helps bridge the gap between what customers want from a personalized support experience and what businesses can easily provide with limited resources. In short: decision trees help build better call centers and support efforts! Want to see more about how Zingtree helps call centers and support teams around the world to keep up with (and stay ahead of) trends in customer service? Contact us to learn more or get started today!